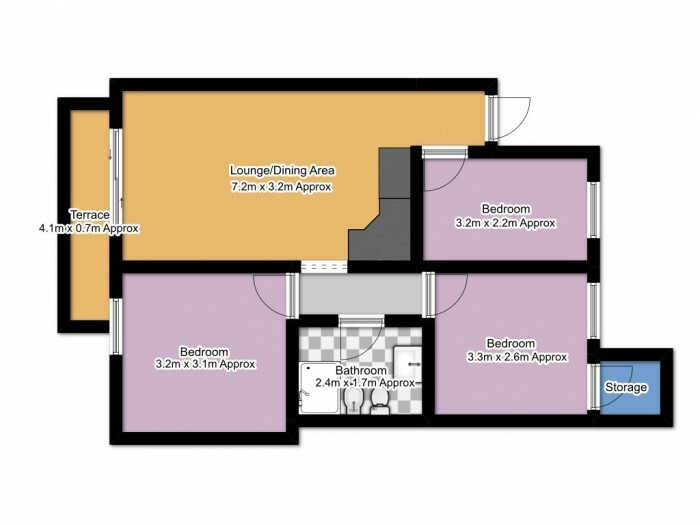 A large three bedroom, one bedroom apartment. Located in the heart of Puerto de Santiago, walking distance to all local amenities, shops, restaurants and bus routes. This property is sold fully furnished and has an open plan fitted kitchen. The living / dining area is bright and spacious, decorated to a very high standard and leads on to a small terrace. On the communal roof terrace there is a private storeroom and a garage space is also included in the sale price. There is a lift to all floors for easy access. A great residential property at a very affordable price.